Hello there, friends. During the month of October, I will be writing a film column every week that focuses on early horror and the beginnings and development of clichés, makeup and types of horror. We’re going to be covering movies from 1920 to 1958, and I’ve divided each week into a different category of exploration. They are also in chronological order, apart from two that I moved around to fit each theme. I hope you guys have a blast reading, and I’m looking forward to learning more about a genre I have very little experience in. Hopefully readers will be able to garner more of an interest in old horror. Without further ado, on to week two. The theme of the week is “atmosphere,” which means we’ll be digging into how setting and tone craft and affect each film’s story. We’ll be taking a look at “Freaks” (1932), “The Island of Lost Souls” (1932), “The Mummy” (1932) and “I Walked With a Zombie” (1943). So, compared to last week, things are about to get pretty crazy. It should be interesting to find out how any setting that doesn’t involve a gothic castle influences the horror factor of each film. What better way to kick off week two than with a movie that was banned (and is still banned) in some countries, censored and chopped up in order to even be shown in any theaters at all? “Freaks” was directed by Tod Browning, who gave us “Dracula,” and the film was something of a passion project for him after making the latter as a favor to Warner Bros. and shines through in spades. “Freaks” is a legitimately great movie, and it arguably accomplishes more in its hour-long runtime than many significantly longer, recent Hollywood blockbusters. Due to its circus-based setting, it can be easily compared to “The Greatest Showman,” although it’s more consistent in its messaging while giving greater agency to its female characters. The only negative comparison is that “Freaks” has far less musical numbers, but I guess we can live and let live, as they say. Our story of the hour centers on a ragtag group of so-called circus “freaks,” many of whom were actually members of the Barnum & Bailey Circus at one point or another, who unfortunately share that title due to having physical or mental impairments and disabilities. At first glance, you’d think this is rather offensive, and, considering it was made in the 1930s, that’s a fair assessment. But we’ll get back to that. Two of the performers, Hans and Frieda, played by actors who would eventually be munchkins in “The Wizard of Oz,” are romantically involved before Hans is tempted by the beauty of the circus’s Cleopatra, an average-sized woman who takes advantage of his feelings and convinces him to marry her, despite warnings from Frieda. It is revealed that Hans is about to fall into a massive inheritance, so Cleopatra hatches a plan with another circus performer, Hercules, to poison Hans after they marry. What follows is a tale about community and acceptance, with a grotesquely twisted ending that cemented “Freaks” in the upper echelon of horror movies. Let’s get back to the possible misconceptions of this film’s offensive nature, which ties into “Freaks” being our second movie with a focus on social commentary after “Dracula.” Tod Browning specifically made this film to show audiences how the real freaks in the story are the people who either take advantage of or don’t accept those different from themselves and ultimately crafted a story that’s just as, if not more, salient today than it was in 1932. He faced significant pushback too, as almost everyone at the studio hated seeing the (remarkably talented) circus performers around the lot, only proving further why the film was necessary. The discrimination and hypocrisy Browning aimed to skewer was literally in his face the entire shoot. For about 55 minutes of “Freaks,” I didn’t know how I was going to write about it. I didn’t even think I was watching a horror movie at all, just a well-done romantic drama set among a group of circus performers. But in the last five minutes, this movie pulls a 180 that must have scarred generations of moviegoers in 1932. That’s right, “Freaks” is the first instance of body horror that we’ve come across, and it’s wonderfully effective. I won’t outright spoil the imagery, but suffice to say, Cleopatra literally becomes the freak that she so viciously tried to segregate herself from and that the costume and makeup departments must have gone all out. But the most terrific part is the implied horror within the scene, as the audience gets to piece together exactly what happened off-screen, and it’s justifiably horrific. Surprisingly, the atmosphere in “Freaks” doesn’t do much horror – or tension-wise within the story. But almost the entire movie takes place in a circle of train cars behind the circus tent. Because of this, Browning is able to establish an innate sense of community among our eclectic cast of characters, shining a light on almost every one of their personal lives in a way that genuinely allows the audience to relate to all the performers. This makes the tightly knit community, both physically and emotionally, feel broken when one of their own decides to betray their trust and builds to the film’s climax beautifully. The climax is the only part of “Freaks” that takes place with the performers en route to another location and makes way for a bona fide set piece involving a thunderstorm, dismantled train cars and an (almost) fight to the death. Browning managed to create a film that contains an equal amount of thrills, real character moments and arcs and gross-out-level horror with a positive message that you can experience in one hour. Seek this one out. “Island of Lost Souls” is unable to reach the horror heights established by the previous film on our list, but the two work together to create an answer as to why a certain branch of modern B-horror is what it is. “Island” is still pretty great on its own terms. It takes a surreal, dream-like approach to its horror but similar to “Freaks,” grounds itself in the villainy of those with a superiority complex. It wasn’t quite as notorious as Browning’s passion project but still managed to be banned in some countries. You know, child’s play. While movies such as “Tusk” or “The Human Centipede,” two films that draw heavily from the body-horror blueprint “Island” created, have been banned and censored for the graphic nature of what’s on screen, this film faced backlash not because of horrific imagery, but because of its implied fear factor. “Island of Lost Souls” follows a developing trend in early horror in that it’s based off previously established material, namely H.G. Wells’ “The Island of Dr. Moreau,” and while it doesn’t primarily establish many clichés, it deepens existing ones. As I mentioned earlier, it takes the body-horror element in “Freaks” and cranks it up to 11. Edwin Parker, a man who has no real personality besides having a job on a boat, is rescued at sea by an alcoholic captain who ultimately drops him off on the island of Dr. Moreau. What he discovers is a series of experiments gone wrong in the form of animals that Moreau has mutilated to create his own brand of submissive humans. The implied nature of forcibly chopping up a live body and turning it into something else completely gives me the heebie-jeebies, and “Island” is no different. 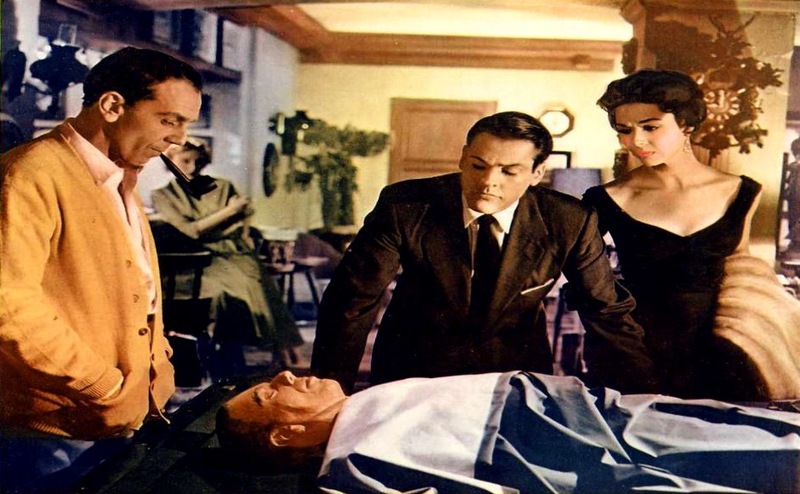 The film takes the mad-scientist cliché and runs with it, allowing Charles Laughton’s evil doctor to be both charming and deceptive, which gives the actor a bit more to chew on, performance-wise. His only motive is to prove himself correct, which is just enough for this kind of story. Perhaps the most intriguing character in the movie is Lota. She’s a woman who used to be a panther, of course, and the doctor isolates her with Parker. After being on the island for a solid day or so, Lota kisses Parker and proves to Moreau that she can, indeed, attract a human male. It’s a good thing Parker’s fiancé, Ruth, who totally calls out the alcoholic captain from earlier and finds a boat to take her to the island to rescue her betrothed, doesn’t find out because then Parker would have to pay consequences for simply being attracted to another woman. What I’m saying is that Ruth is the best character in the movie, and Parker is a bummer of a man. “Island” is more of a straight-up horror movie than anything we’ve seen so far, with a jump scare and everything. This is mostly due to the superb makeup work and set design, which paint the perfect world for our action to play out in. On top of this, the atmosphere is remarkably important to the success of the scares. The nature of being on an island, besides being new and exciting, is isolating, with a literal ocean between the characters and any hope of safety. Moreau’s lab is also a marvel of production design, with branches and vines that wind through every interior shot. It feels archaic and lived in, yet remains unsettling. “Island of Lost Souls” is rather good and thus far provides the most DNA for modern B-movie horror in terms of story and craft. It pushed the envelope in 1932 with Moreau’s ultimate comeuppance and remains unique even today. The primary difference between “The Mummy” and the other films on this week’s lineup is that “The Mummy” is not as good as the other ones. This may be disappointing to hear, and it’s disappointing for me to say. But, I still understand why a film like this is remembered as the classic it’s become, which means it must have done something right. First things first, this movie has a whole lot of firsts. It’s the first film on our docket so far that contains not only a dog but a cat as well. It also introduces the ever popular cliché of the cursed artifact that brings death to all who interact with it, paired perfectly with the ongoing “characters acting stupid” platitude. Most importantly, it contains what I am fairly certain is an appearance by a member of the Blue Man Group, and he stirs a massive cauldron with such zest I couldn’t help but pay attention. As I said before though, there are reasons “The Mummy” holds such legendary status, one of which happens to be the film’s atmosphere. Every single one of the sets, from the archaeological museum and elegant ballrooms to the decaying tombs and cliffside excavation sites, is immaculate. It’s more of a narrative device than a cliché, but “The Mummy” marks the first use of a direct flashback in the form of Boris Karloff’s mummy (the mummy and Frankenstein look surprisingly similar) telling the story of his death, and the makeup and sets only become more outstanding in the flashbacks. The mummy himself, when wrapped in his traditional garb, is rightly disgusting to look at, encapsulated by musty bandages and covered in wrinkly gray skin. He looks fantastic. I saved this for last so I wouldn’t lose readers too early on, but there’s one more cliché brought upon us in this film. Remember that dog from earlier? Yeah, well, he doesn’t quite make it to the end. It’s off-screen, so it’s not as devastating as it could be, but it was still very sad and kicked off an unfortunate horror trend. We’ll get through this one together, guys. Toward the beginning of “I Walked With a Zombie,” a character by the name of Holland warns Betsy, a young nurse filled with boundless optimism, that all beautiful things are birthed from the death of something else; neither the stars nor the moonlight glinting off the ocean surface are free of this truth. So, as we’ve established, the movie kicks off by preparing the audience for an exciting, lighthearted romp. No, “Zombie” is actually quite depressing, and while none of our films thus far have outright scared me, even after completing week two, it utilizes atmosphere (wink wink) to craft effective tension and horror better than any film this week. 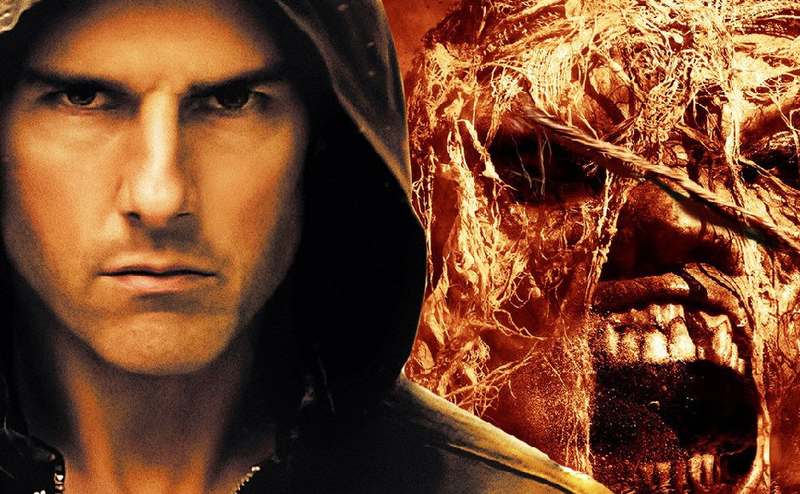 As you may have noticed, the time jump between “The Mummy” and “Zombie” is over a decade. The progression in terms of cinematography, the performances and more natural, personality-filled dialogue is blatant, although to be fair, it’s possible I just had a bad taste in my mouth from “The Mummy.” To give a better picture of the quality, it’s closer to “Freaks” than it is to our last film. A decade makes a whole lot of difference in other ways too. The biggest shift is that we officially have a movie on our list where African-American characters are given legitimate things to do. I mean, it’s definitely a movie from 1943, but they’re treated respectfully, for the most part. Another less monumental addition to the movie industry, but definitely an important contribution to horror that this movie provides is our first official zombie, who’s really just a permanently sleepwalking woman who everyone insists is a zombie, as opposed to the bloodthirsty and decomposing member of the undead that modern horror entertainment has trained us to recognize. Our plot follows the previously mentioned Betsy, who is sent to a sugar plantation on the island of St. Sebastian to tend to the owner’s wife, Jessica. She’s in a lifeless state, which prevents her from speaking or doing anything on her own and appears to be a dead woman walking but unfortunately doesn’t eat a single person. Let’s get back to the film’s treatment of African-American characters. All the servants on the plantation are black and are descended from slaves on the island. Theresa Harris plays Alma, the lead maid, and is the best performer in the film, portraying a deep-seated suffering beneath her genuine and charming surface, with each line making the movie’s world a better place to be. It also heavily leans into the voodoo religion, not treating the belief system as savage but as a thing of cultural importance that the island’s inhabitants rely heavily upon for hope. Its negative reputation within the film is only present among some of the plantation owners, not the characters we’re meant to sympathize with. Ultimately, the suffering of so many people of color is not ignored, but some minor black characters do suffer from being painted as stereotypes. The atmosphere is the single most important character in “I Walked With a Zombie.” The house on the plantation is established as a place for the audience to be comfortable in and exists only to be a beautiful setting at first. 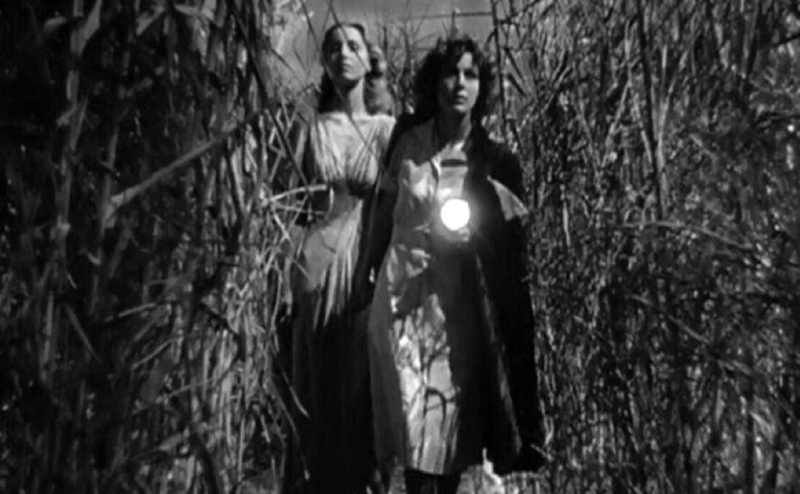 It provides a brilliant contrast to the vast and nearly empty fields Betsy must lead Jessica through to get her cured by a voodoo doctor. The fields are dark and gloomy, with dead animals hanging from trees that provide the movie’s only instance of genuine horror. Later, once we’re back at the house, everything takes on a new appearance. Where we were once comfortable, we feel uneasy as Betsy hears sounds in the courtyard in an almost silent scene that’s filled to the brim with tension and comes the closest to demonstrating something out of a modern horror movie than anything we’ve seen so far. “I Walked With a Zombie” contains its fair share of well-executed drama and tension, an attempt at addressing racial issues, a plot that sometimes convolutes itself and a truly unexpected musical summary of the film. That should tell you all you need to know. Next week, we’ll be exploring the movies that made “Shaun of the Dead,” “Cabin in the Woods” and “Evil Dead 2” possible. That’s right, next week is the introduction of the horror comedy. 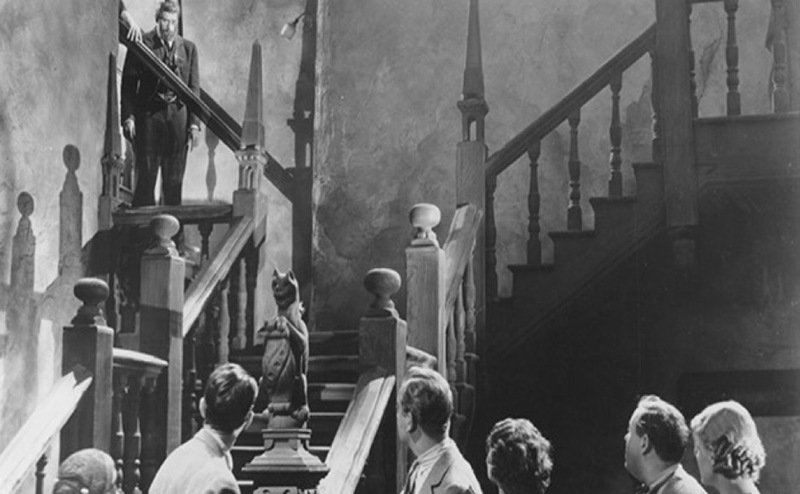 We’ll kick things off with “The Old Dark House” (1932).